In today’s world, it seems like there are natural disasters happening all over the world at any given times. 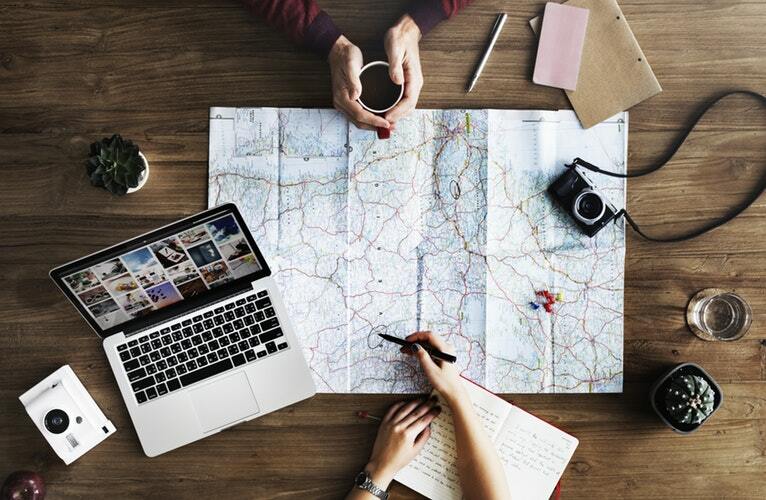 For those who love traveling, this can make things hard to plan around, especially when some of the world’s most beautiful places are the ones needing help from FEMA and other assistance organizations due to the damage sustained from natural disasters. So if you do happen to be in a location that’s hit by a natural disaster, it’s vital that you know how to best protect yourself and stay safe. To help with this, here are three tips for living through a natural disaster when you’re traveling. Once you’ve decided where it is you plan on visiting, it’s a good idea to check the seasons and weather patterns to see if there’s anything on the horizon that may spell danger for you and those who live in your destination. After you’ve seen what are the possibilities for potential natural disasters, Women On The Road recommends that you spend just a few minutes creating a plan of action for what you’ll do if any one of these things were to happen while you’re there. By doing this, you’ll be able to be mentally more prepared if and when something bad should happen. This can help you to remain calmer and to act appropriately if you find yourself in a sticky situation. When you’re at your destination and enjoying yourself, it may not be your top priority to be keeping on eye on things like the weather or certain current events around you. However, this is something you should be doing if you’re staying in a place that may have extreme weather conditions. By checking on things like the forecast and evacuation notices, Lindsay N. Smith, a contributor to National Geographic, shares that you’ll be able to know if you should get out when it looks like bad weather conditions are going to hit your destination hard. Knowing about evacuation notices will also help you take advantage of any evacuation assistance being offered to those who need help, which you might if you’re in an unfamiliar area or don’t speak the native language. If a natural disaster should strike where you’re traveling, you should do what you can to get in contact with family or friends back home who may be worried about you. By taking this on yourself, it will help ease their minds as well as allow the government to focus their efforts on those in need rather than just searching for someone people fear might be missing. According to Caroline Hallemann, a contributor to Town and Country, you should only contact your embassy during a natural disaster if you need their immediate help, like if you’re injured. If you want to be prepared if a natural disaster strikes when you’re traveling, consider using the tips mentioned above to help you know what to do.